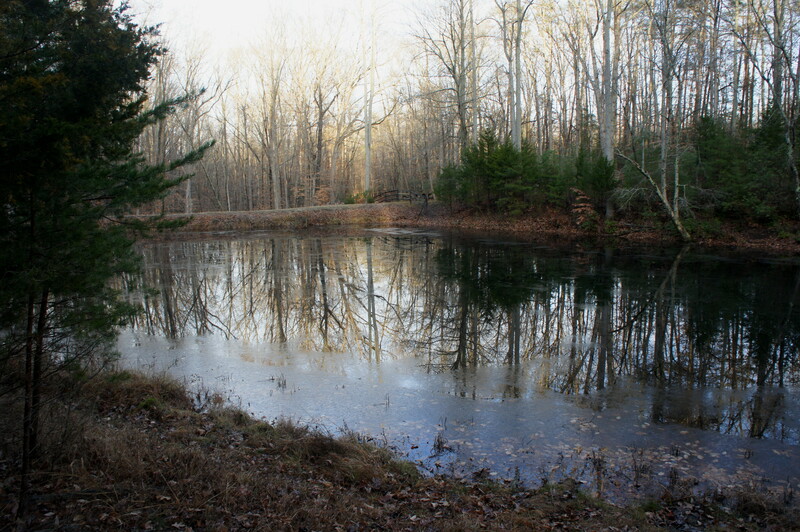 The 0.15-mile Carter’s Pond Trail is poorly advertised and excluded from the official park literature on hiking in Virginia’s Prince William Forest Park. Nonetheless, it does indeed exist, accessed by way of the park’s Scenic Drive. 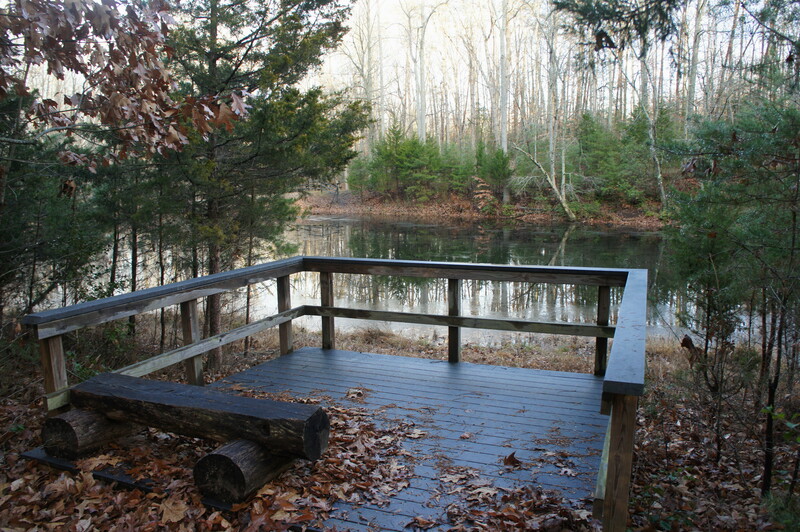 The easy and short path ends at a viewing platform overlooking the namesake pond. From the park entrance, turn left at the first junction, then continue on Scenic Drive for 1.3 miles. Look for a sign marking Carter’s Pond, then pull off to the left into the small parking area. There are a couple of picnic tables here, and the pond is immediately visible ahead. The trail begins at the south end of the parking area. The first 100 yards are wide, partly asphalted, and wheelchair-accessible. After taking the first right-hand turn, however, the route narrows and crosses a wooden bridge over a small stream that feeds Carter’s Pond. Amid oaks, junipers, and new growth pines, the trail rounds another corner and bears north, ending at a small, shaded platform overlooking the calm and still pond. For those interested in fishing, the pond is open to catch and release only. Return the way you came; allot about 10-15 minutes for the round-trip. This entry was posted in Easy Hikes, Prince William Forest Park, Virginia and tagged Carter's Pond, Prince William Forest Park, Virginia. Bookmark the permalink.